This lotion provides rich, skin-soothing properties and a healthy dose of shea butter and vitamins to protect and feed your skin. The makers have incorporated extracts of milk thistle and meadowsweet, which lend antioxidant properties, as well as linden flower to help with cell renewal. 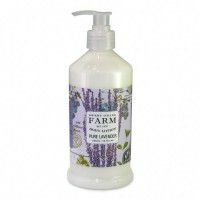 This lightweight, non-greasy formula is the perfect natural body lotion for dry skin.